After nearly 11 years with the company, Supervisor Jill Smithies is retiring to relocate to Christchurch. She is looking forward to having more opportunities to enjoy her love of travel. Jill’s wealth of knowledge, willingness to help and considerate attitude will be greatly missed. From our Audit department, Sanjana Govind has bid us a temporary farewell as she takes maternity leave. Sanjana is expecting her first child in January. As well as maintaining busy work schedules, several staff members have also been juggling study commitments. Congratulations to Paul Eckford and Pawan Singh who have just passed their PCE2 “Professional Competence Examination”, a gruelling 6-hour case-study based exam. 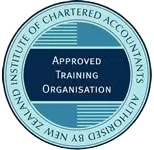 As a requirement for full membership of the New Zealand Institute of Chartered Accountants, the exam tests both technical knowledge and the ability to demonstrate other key competencies such as problem solving, ethical behaviour, critical thinking and effective communication. In addition to her new mum role with baby Cohen (born in June this year), Rosalie Conroy has shown impressive multi-tasking skills by successfully completing a commercial law paper. And Bhavna Manilal has continued to make good progress towards her degree this year with the completion of an economics paper. The UHY Haines Norton staff Christmas celebration was held at Snow Planet last week. We donned snow gear and divided into teams to compete in various snow games, such as navigating an obstacle course with blind folds on, and sumo wrestling. Some teams played fair, some didn’t (no names will be mentioned but you know who you are), but everyone enjoyed a great evening relaxing at the end of a hectic year. Finally, on behalf of everyone here at UHY Haines Norton, we’d like to wish you all a safe and happy Christmas and New Year.